The Florida Bus Accident Attorneys of Gilman Law LLP are Here to Help You. Millions of people rely on buses to carry them safely to work and to school. 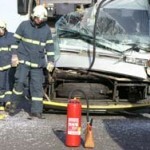 But because buses are often used in high-traffic and urban areas with other cars and trucks, accidents are inevitable. When bus accidents occur, dozens of passengers can be injured, as well as pedestrians and other motorists. Legal issues involving bus accidents can become complicated when a bus is operated by a city or other government agency. Because of these complexities, obtaining compensation for injuries from a bus collision can require legal expertise beyond that required in a routine car accident. The Florida bus accident lawyers of Gilman Law LLP have the expertise to protect your rights and ensure you receive the compensation you deserve. If you or a loved one has suffered injury as a result of a bus accident, call Gilman Law LLP at 1-800-LAW-INFO (1-800-529-4636) for a free consultation or use our online form. We serve clients across Florida, including Naples, Fort Myers, Marco Island, Cape Coral, Lee County, Collier County, Everglades City, Golden Gate, Immokalee, Bonita Springs and Sanibel. The National Highway Traffic Safety Administration defines a bus as a motor vehicle designed to car 11 passengers or more, including the driver. It defines a school bus as a bus sold for the purpose of carrying students to and from school and other events. How common are accidents involving buses? They happen much more frequently than most people realize. There were approximately 11,000 bus accidents in the United States in 2006. They caused 21,000 injuries and 331 fatalities, according to the Federal Motor Carrier Safety Administration. From 1997 to 2007, 1,541 people died in school bus-related crashes—an average of 140 fatalities per year, according to the National Highway Traffic Safety Administration. 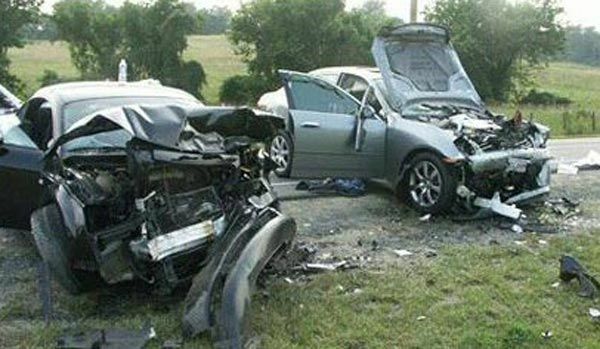 Most people who lost their lives in those crashes were occupants of other vehicles. 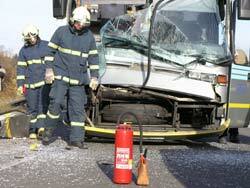 In fact, about 70 percent of bus accident victims are people driving or riding in other vehicles. Buses are bigger and heavier than most other vehicles on the highway, which is why accidents involving buses typically cause injury to others beyond just the passenger of the bus. School buses are nearly eight times safer than passenger vehicles, according to the National Highway Traffic Safety Administration. Even so, too many school-age students die each year in bus accidents. Of the buses involved in fatal crashes, school buses represented the largest category, with 116 school buses involved in fatal accidents and 136 fatalities. Bus accidents occur for a number of reasons. Driver distraction and negligence, defective equipment, dangerous roads or weather conditions and inadequate bus maintenance can all play a part in causing a bus accident. Legally, a bus is considered a “common carrier,” and bus drivers must use great care when transporting passengers. When they fall short in their duties, bus drivers or bus companies can be held liable for the injuries that result. The Florida bus accident attorneys at Gilman Law LLP understand the intricacies of this area of law and have helped people injured in bus accidents receive compensation to get their lives back in order. The experienced bus accident lawyers at Gilman Law LLP are skilled at evaluating the factors of an accident and will help you identify all potential defendants to ensure fair and appropriate compensation for your injuries. If you have been injured in a bus accident caused by the negligence of another, we will work hard to make sure that you receive the compensation you deserve. Please fill out our online form, or call 1-800-LAW-INFO (1-800-529-4636) to discuss your case with one of the experienced lawyers at our firm. This entry was posted in Bus Accidents on January 13, 2011 by admin.